Nicolaas Felix Andreas Molenaar, better known as N. Molenaar jr. or Nic. 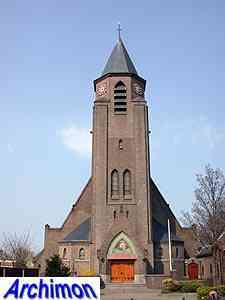 Molenaar, was born in Den Haag on June the 27th 1892 as the son of neo-Gothic architect N. Molenaar. For part of his education he was send to the Canisiuscollege in Nijmegen, a Jesuit boarding school, the building for which was designed by his father. He was further educated in architecture at his father’s office in en Haag, and the two architects worked together until the father's death in 1930. Like his father, Molenaar jr. at first designed churches in neo-Gothic style, in several cases completing his father’s work. 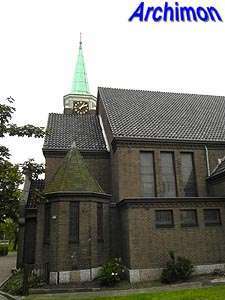 His first own assignment was for the church H. Sacrament in his home town Den Haag, a church in Traditionalist style related to the Delft School. 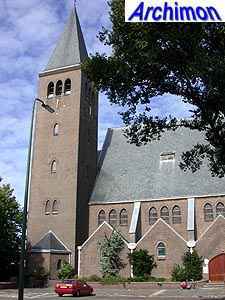 Although he was one of the many architects connected to the Delft School, and from 1933 was one of the editors of the catholic architect's magazine R.K. Bouwblad, several of his churches show a large influence from Expressionism, albeit in a moderate version, rather than the pure Traditionalism the magazine promoted. In his own writings, Molenaar manifested himself as an opponent of the modernist New Objectivity. After the Second World War this style was replaced by a more modern variant. In 1957 Molenaar associated himself with architect P.A.N. Sips, who brought a more modernist influence and continued the office after Molenaar retired. Molenaar died in Groesbeek on May the 22nd 1973. 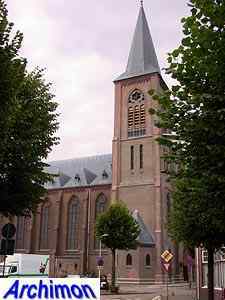 The following is a list of Molenaar's religious buildings. It is probably incomplete. Completion of the church started by his father; nave lengthened with another trave and facade and tower added. 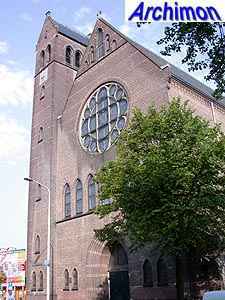 Completion of the church started by his father; nave and side-aisles added, with facade and tower, all in neo-Gothic style. 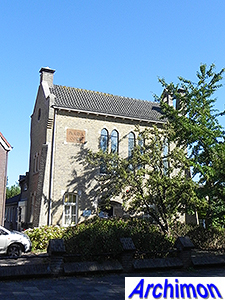 Molenaar's first complete church. Three-aisled basilica in Traditionalist style. Basilica in a combination of Expressionist and Traditionalist styles. Centralizing church in Expressionist style, with ground-plan in the form of a Greek cross. Demolished in 2016. Aisleless church in Expressionist style. Straight choir, small bell-tower at the front of the roof. The choir was demolished in 2009, leaving the sacristy seperate from the nave. These are now respectively used as a chapel and a community center. 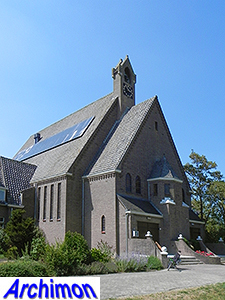 Addition of wide side-aisles to church designed by Molenaar Sr.
Convent in Traditionalist style, with school. 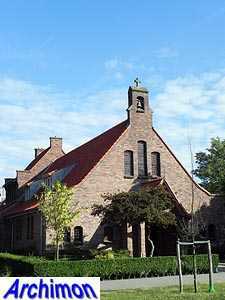 Convent in Traditionalist style, with chapel at the front. Small aisleless church in Traditionalist style. Small church in Traditionalist style. Replacement of choir of neo-Gothic church with a new choir and wide transept. Church in modern Traditionalist style. 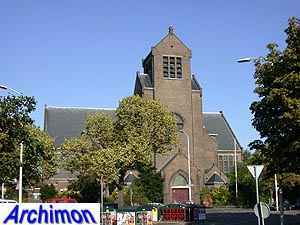 Large aisleless church in modern style, with tall tower. Demolished in 1994.